Overview of "Calligraphies in Conversation"
“Calligraphies in Conversation” encompasses a group exhibition and a series of public events including calligraphy demonstrations, workshops, and calligraphers’ talks and presentations focusing on endorsing the appreciation of traditional calligraphy in hands-on and tangible manner. This exhibition fosters a new dialogue between different calligraphic arts and artists. “Calligraphies in Conversation” is one of the few of its kind exploring connections between calligraphy traditions and practices from different cultures and languages through the world. Read More! Ziya Art Center and Oakland Asian Cultural Center Present: The Art of Sho, Calligraphy of East Asia Workshop Professor Ronald Y. Nakasone A member of the Core Doctoral Faculty at the Graduate Theological Union in Berkeley, with over 150 scholarly works on Buddhist thought, ethics, and aesthetics January 15, 2019 from 6 – 8 p.m. 388 9th St, Suite 290, Oakland, CA 94607 Registration: $20 To see more information and register online please CLICK HERE. The deadline for our 5th Annual International Exhibition is passed and we do not accept any more artworks at this point. We have received many submissions from around the world. Artwork submissions are under review and results will be announced by Oct. 3, 2018. Details of the exhibition will be announced soon. 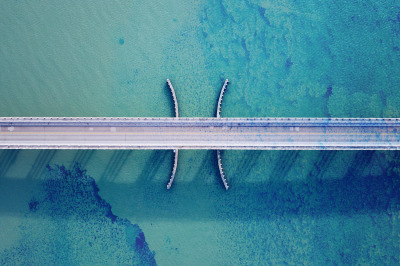 To see submission/exhibition conditions please click here. 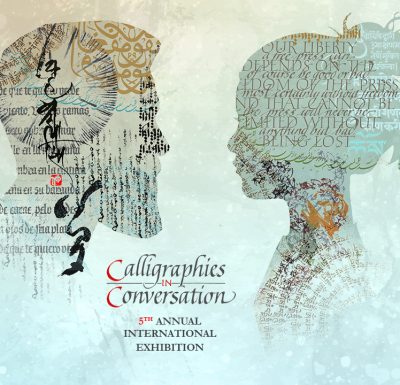 CALLIGRAPHIES IN CONVERSATION 5TH ANNUAL INTERNATIONAL EXHIBITION Exhibition Date and Place: November 8 – December 27, 2018 at Oakland Asian Cultural Center (OACC), Oakland, California Submission Deadline: October 1, 2018, before 11:59 p.m. Pacific Standard Time Submission Fee: $15 (You can participate for FREE with no fee if you are in a country with no access to international payment or you extremely lack the fund) For submissions and more information please CLICK HERE. We are honored to announce that the 2017 Calligraphies in Conversation has been hosted at the Skylight Gallery of the Main San Francisco Public Library. Over 70 artworks has been on display at SFPL with a range of diverse traditions and languages including an array of Latin, Chinese, Japanese, Baybayin, Arabic, Persian, Hebrew, Armenian, and Hindi calligraphy from September 17 to December 31, 2017. The third Calligraphies in Conversation exhibition was hosted at the Gallery of Fremont Art Association from August 1 to September 23, 2016 with the opening reception and Arabic-Persian calligraphy workshop with Arash Shirinbab on August 3, 2016. The Chief Curator of the exhibition, Shirinbab, assembled a unique collection of calligraphic works with range of diverse traditions and styles including Chinese, Japanese, Arabic, Persian, Hindi, Hebrew, and Western classic calligraphy artworks. 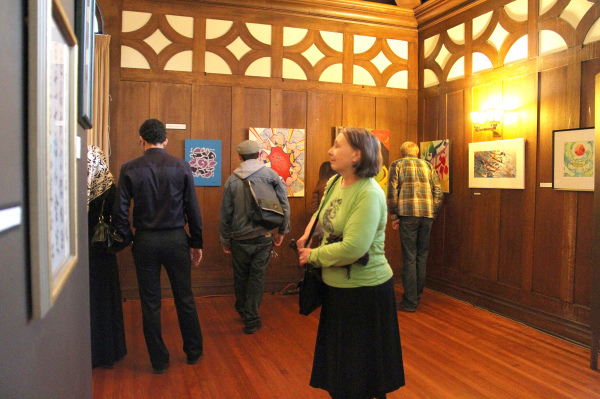 Arabic, Persian, Turkish, Hebrew, and Hindi traditional calligraphy artworks exhibited at Islamic Cultural Center of Northern California (ICCNC), Oakland Asian Cultural Center (OACC), and Oakland Main Public Library. 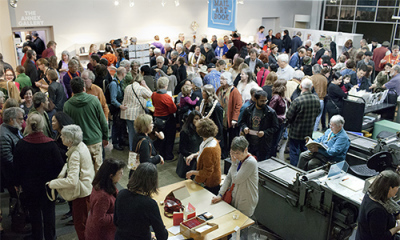 The first Calligraphies in Conversation program initiated by Ziya Art Center and co-sponsored and co-hosted by Islamic Cultural Center of Northern California (ICCNC) and Oakland Asian Cultural Center (OACC) in Spring 2014, where over 80 artworks were exhibited at these two locations near downtown Oakland. 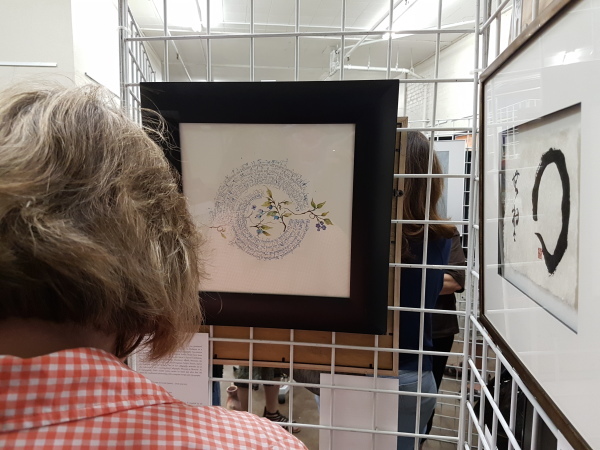 A range of diverse traditions and styles were exhibited, with an array of Chinese, Japanese, Tibetan, Arabic, Persian, and Turkish traditional calligraphy artworks as well as manifestations of calligraphy in some contemporary and abstract art pieces. 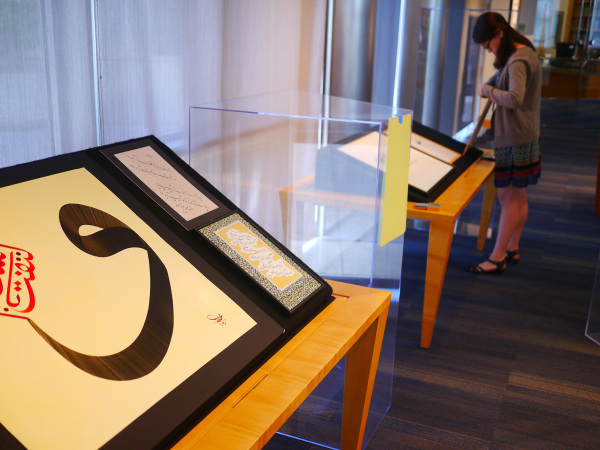 The emphasis of this program is initiating a meaningful conversation between different calligraphy traditions, scripts, and cultures, especially between the Middle Eastern calligraphy and other calligraphy scripts. Such viewing combinations are rare in California, and will provide the public with the unique opportunity to recognize shared features: The traditions all highlight the power of the written word via inscribing it artistically with pen and ink, and emphasize a direct relationship between spirituality and calligraphy.